He promised factions to send the text to parliament soon. 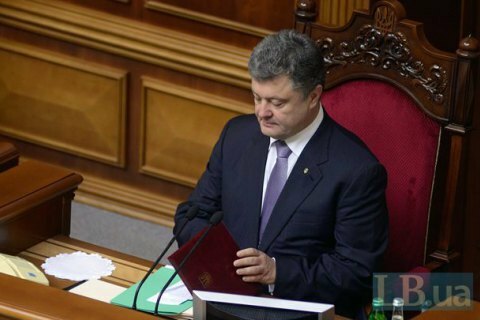 President Petro Poroshenko is likely to deliver his annual state-of-the-nation address in parliament on 18 September.“At a meeting with our faction, Petro Poroshenko raised the issue of the address and promised to send it to parliament as soon as possible,” a member of the Petro Poroshenko Bloc faction, Oleksiy Honcharenko, has told LB.ua. The address is expected to touch upon the key issues of Ukraine’s domestic and foreign policies.